3 W.S. 41-3-110 cont Any person shall have the right to acquire by purchase, gift or lease the right for a period not to exceed two (2) years for temporary purposes. 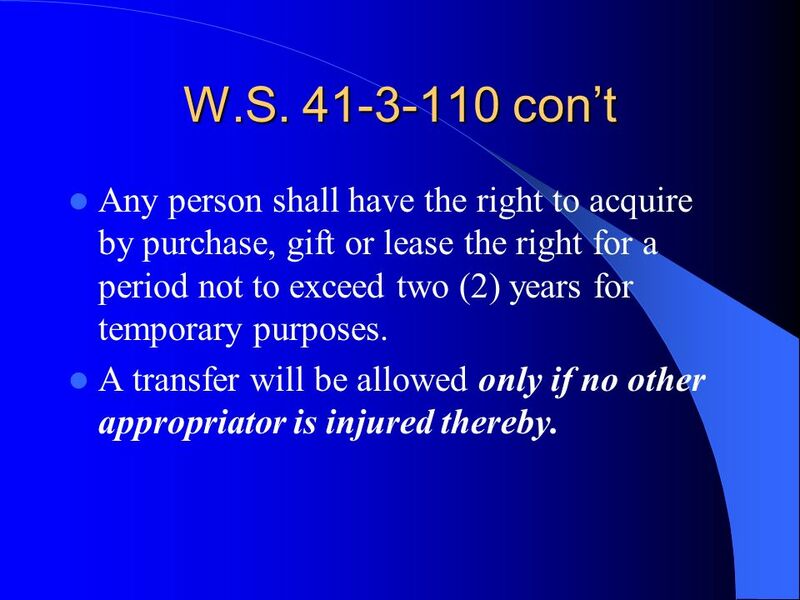 A transfer will be allowed only if no other appropriator is injured thereby. 4 W.S. 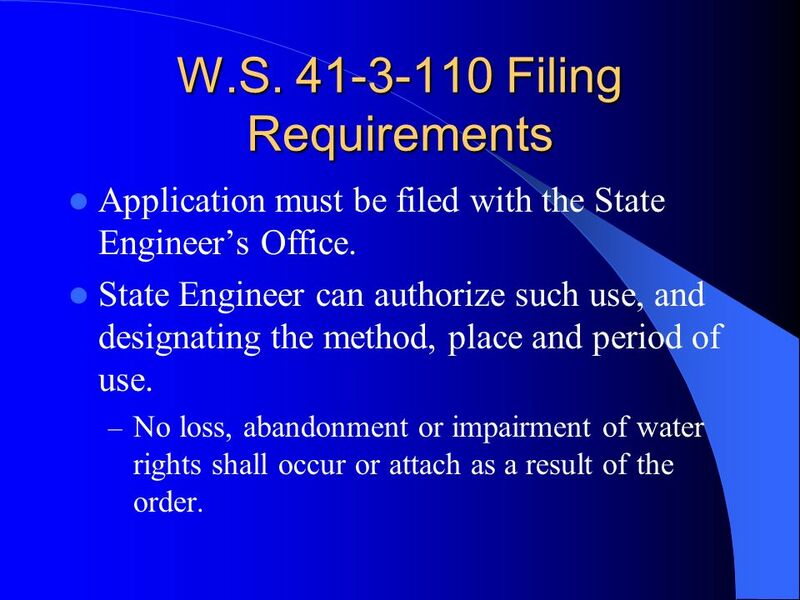 41-3-110 Filing Requirements Application must be filed with the State Engineers Office. State Engineer can authorize such use, and designating the method, place and period of use. 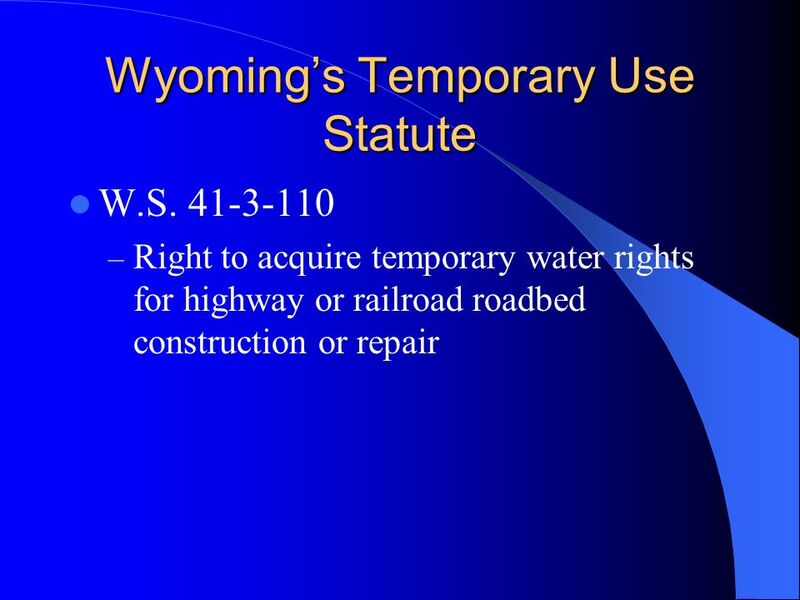 – No loss, abandonment or impairment of water rights shall occur or attach as a result of the order. 9 Water Availability How Much Water is Available for Transfer? – Historical Consumptive Use – Records are important for determination. 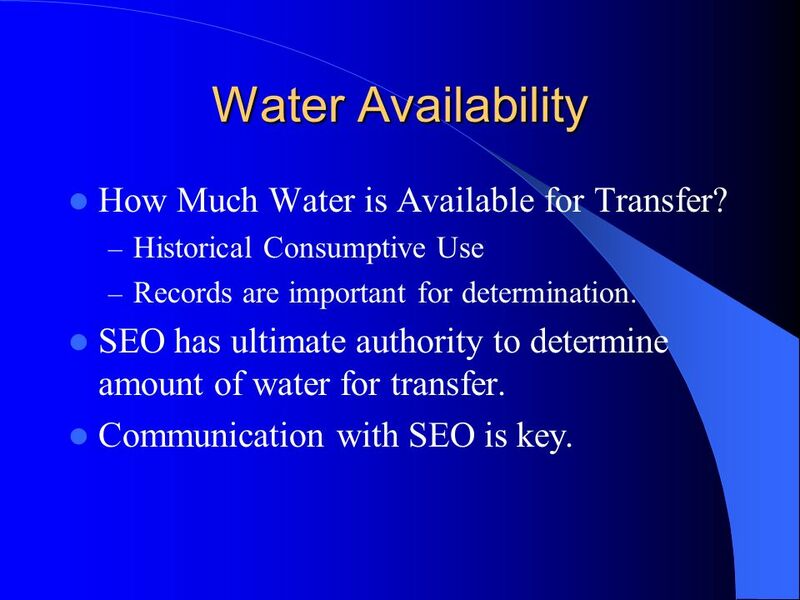 SEO has ultimate authority to determine amount of water for transfer. Communication with SEO is key. 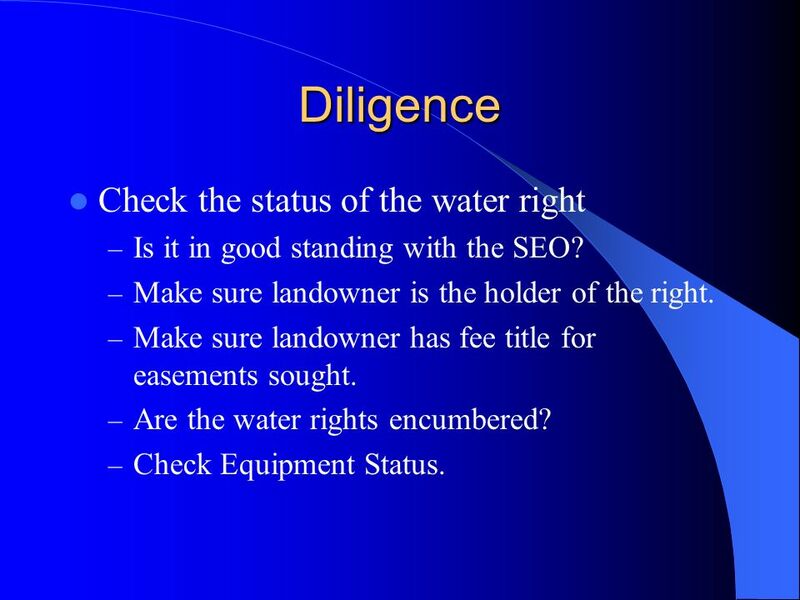 10 Diligence Check the status of the water right – Is it in good standing with the SEO? 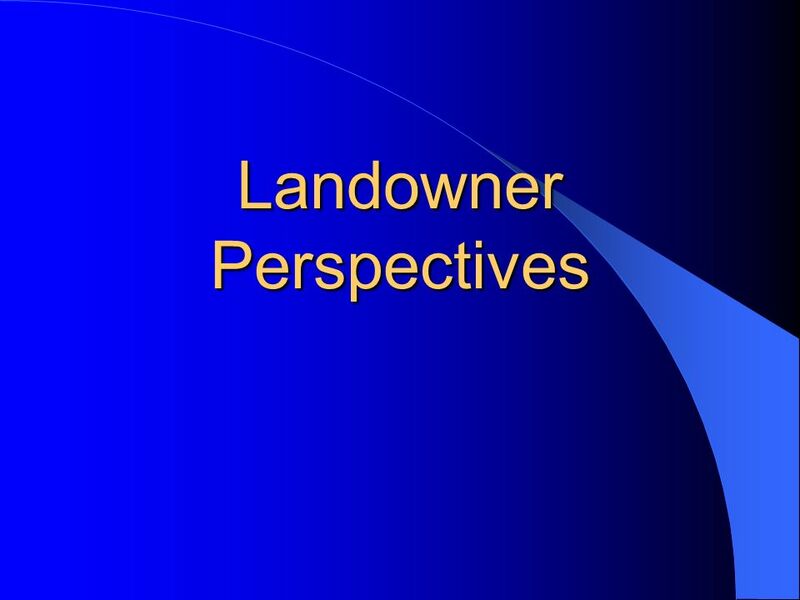 – Make sure landowner is the holder of the right. 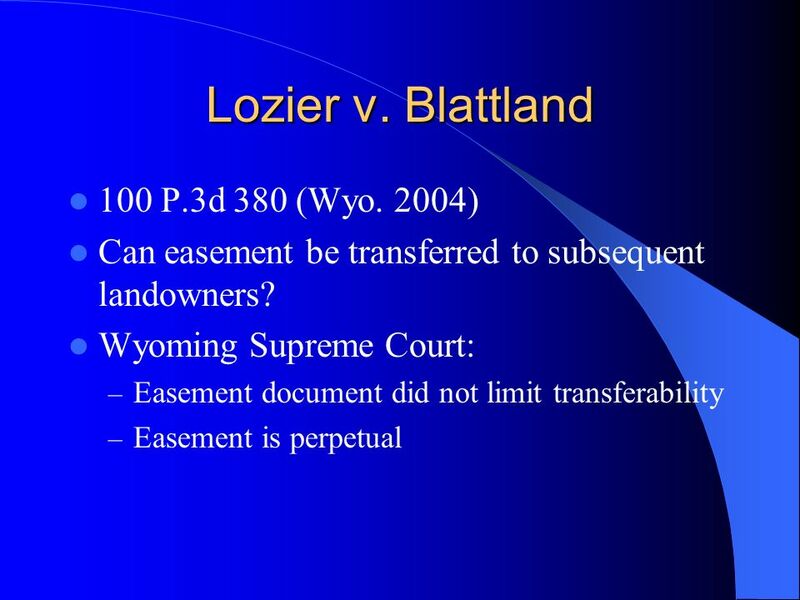 – Make sure landowner has fee title for easements sought. – Are the water rights encumbered? – Check Equipment Status. 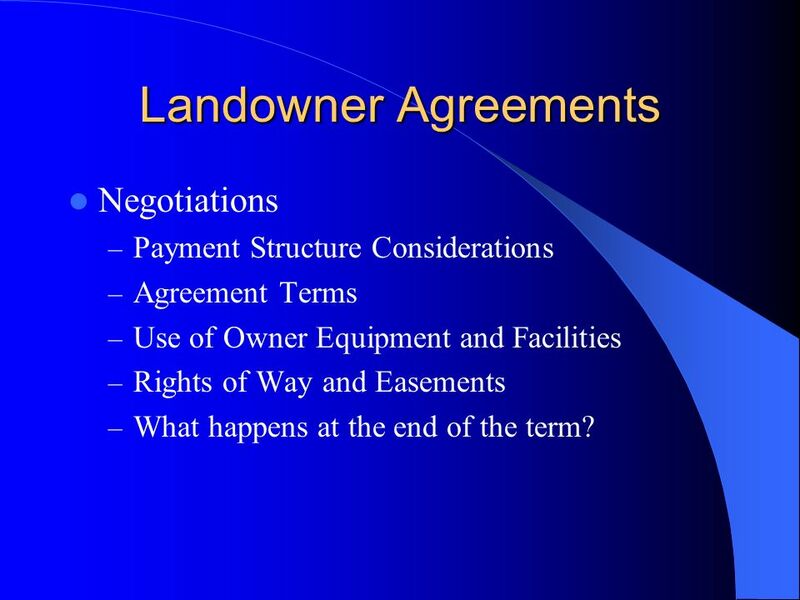 11 Landowner Agreements Negotiations – Payment Structure Considerations – Agreement Terms – Use of Owner Equipment and Facilities – Rights of Way and Easements – What happens at the end of the term? 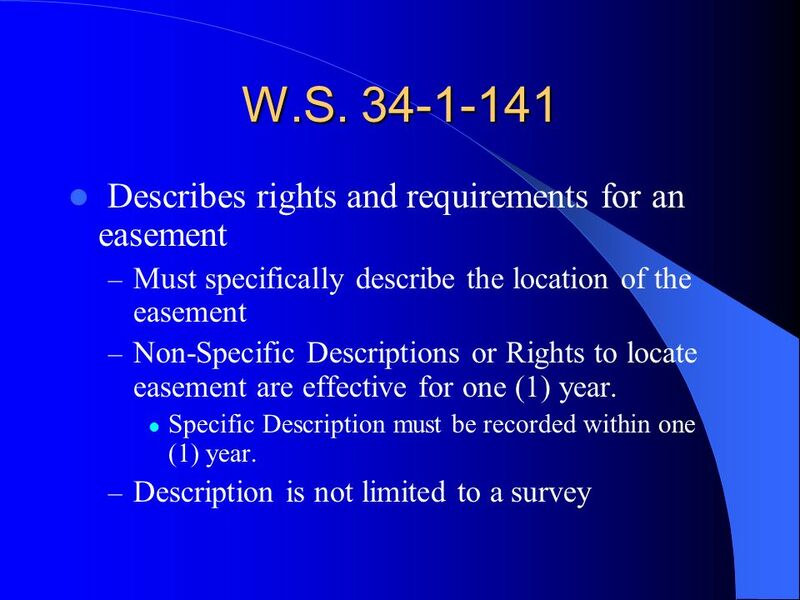 17 Easement Requirements Specific Description – Not limited to survey, but must be able to locate – Easement or agreement without specific description is valid for one (1) year Must be specifically described and recorded in one (1) year. 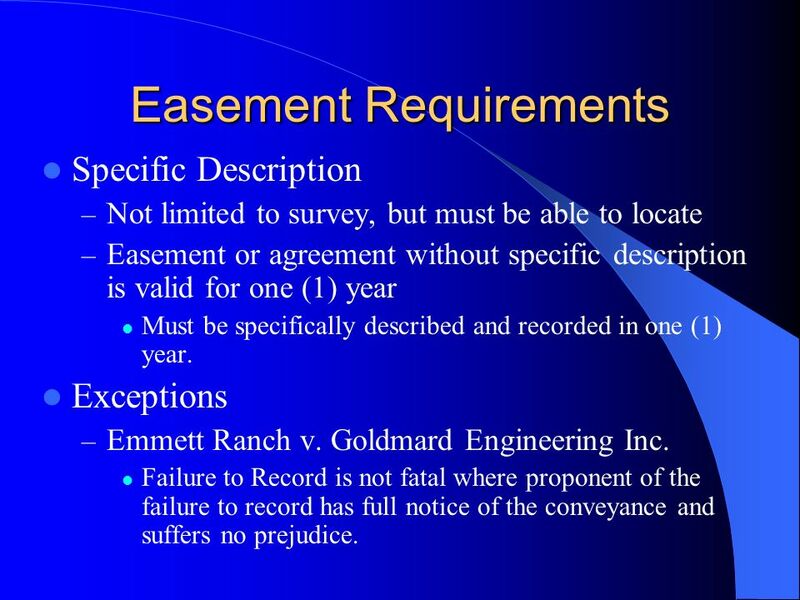 Exceptions – Emmett Ranch v. Goldmard Engineering Inc. Failure to Record is not fatal where proponent of the failure to record has full notice of the conveyance and suffers no prejudice. 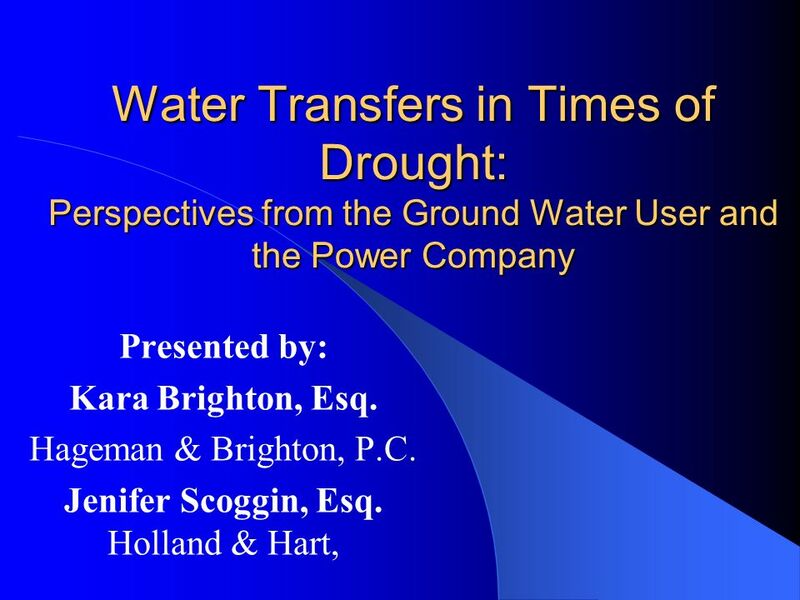 Download ppt "Water Transfers in Times of Drought: Perspectives from the Ground Water User and the Power Company Presented by: Kara Brighton, Esq. 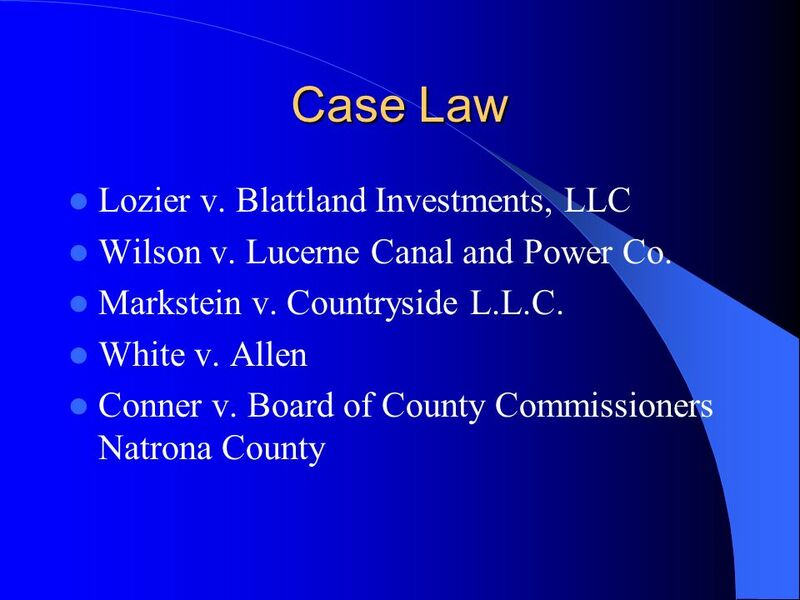 Hageman & Brighton,"
Subdivision Development and Water Right Transfers Dealing with the Conflict between Historic and New Land Use March 6, 2012. Carryover Allocations and the 10% Test IPED Housing Tax Credits 101 October 16-17, 2008 By: Catherine E. Tenney, Esq. 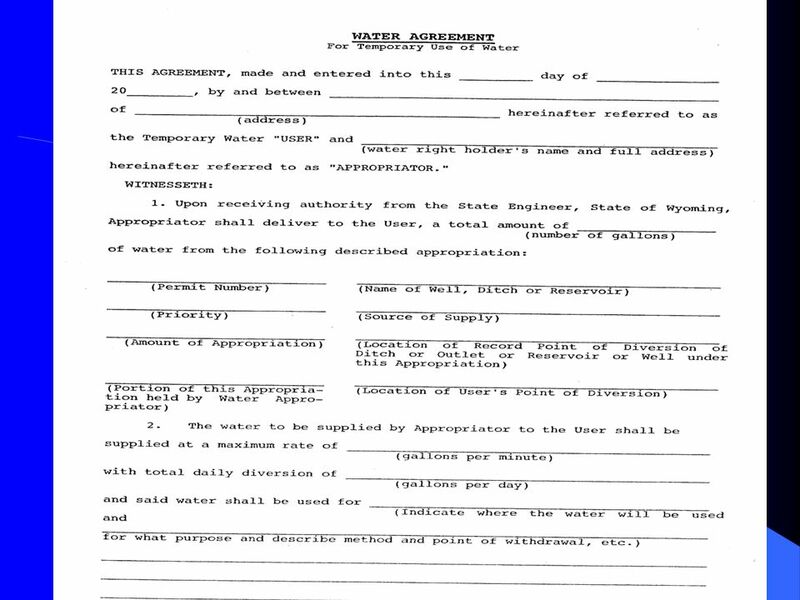 The Surveyors Role in Utah Water Rights Utah Council of Land Surveyors February 19-21, 2014. 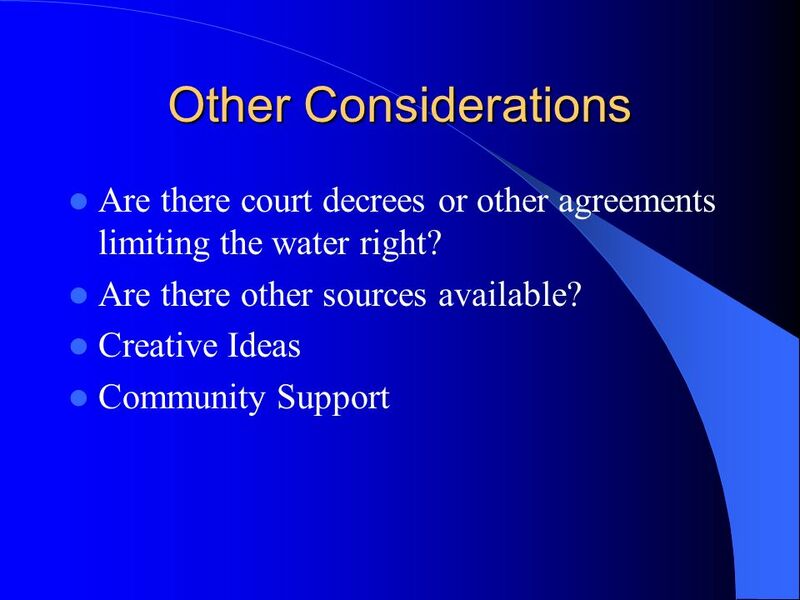 WATER RIGHTS 101: OVERVIEW OF UTAH WATER LAW Legislative Water Task Force June 15, 2004. 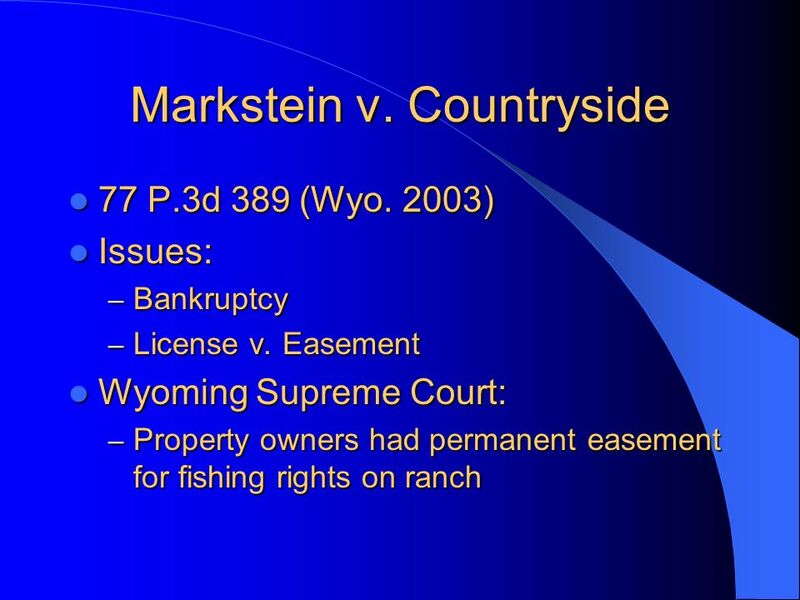 © 2007 by West Legal Studies in Business / A Division of Thomson Learning CHAPTER 19 Land-Use Control and Real Property. 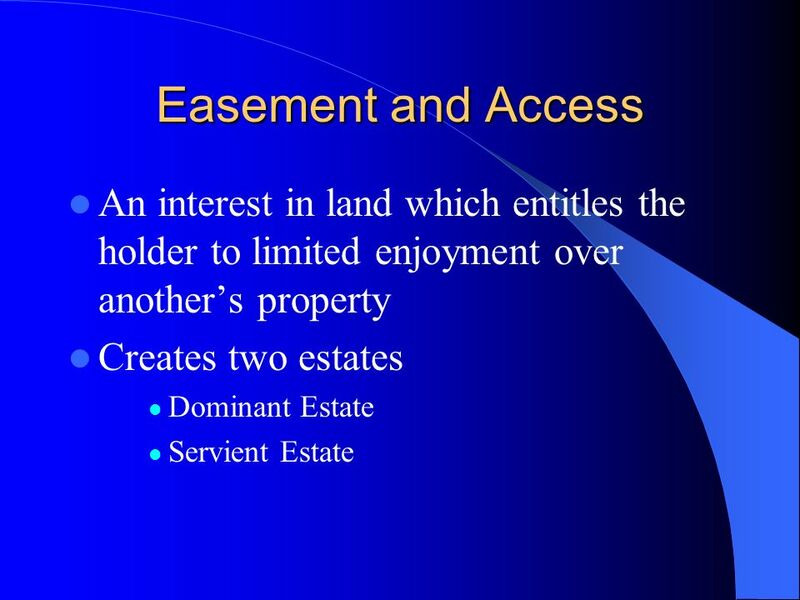 LEGAL RESPONSIBILITIES RELATING TO EASEMENTS Michael Mammen – Partner, HWL Ebsworth Lawyers. ©2011 Cengage Learning. 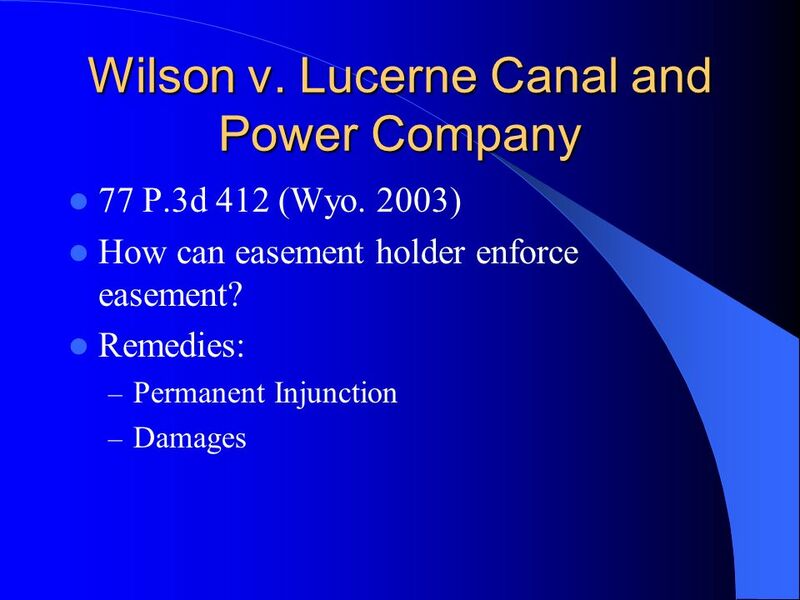 Chapter 3 Encumbrances, Liens, and Homesteads California Real Estate Principles ©2011 Cengage Learning. 17 Real Property © Oxford University Press, All rights reserved. 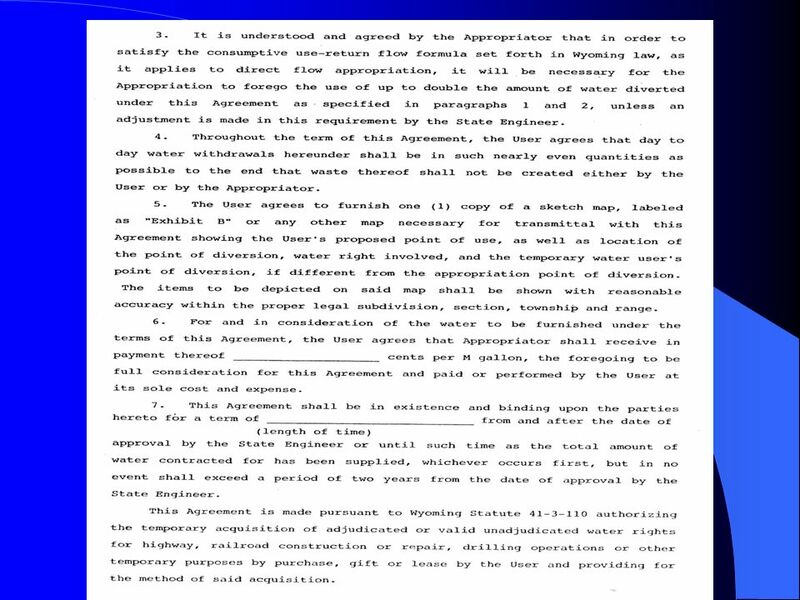 LEGAL CONSIDERATIONS IN APPRAISAL Chapter 2. CHAPTER TERMS AND CONCEPTS Acceptance Appurtenance Base line Bundle of rights Competent parties Consideration. Instream Water Dedications Nicholas A. Jacobs. 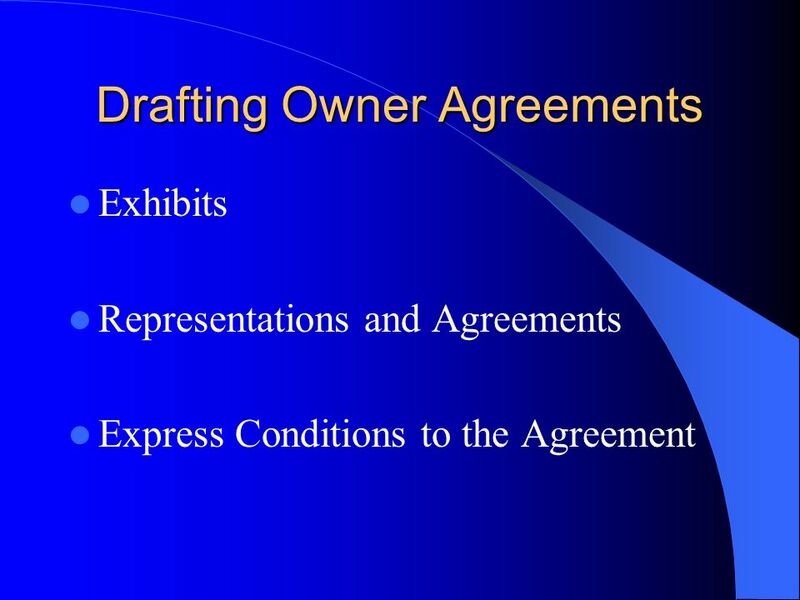 Section 1707 Transfers - Pros 1. Necessary for permitted or licensed rights 2. Certainty for the purchaser.  Deed ◦ Loosely translated as a “gift” ◦ Necessary as a part of property transfer  Deed Restrictions ◦ Terms and conditions attached to the transfer. 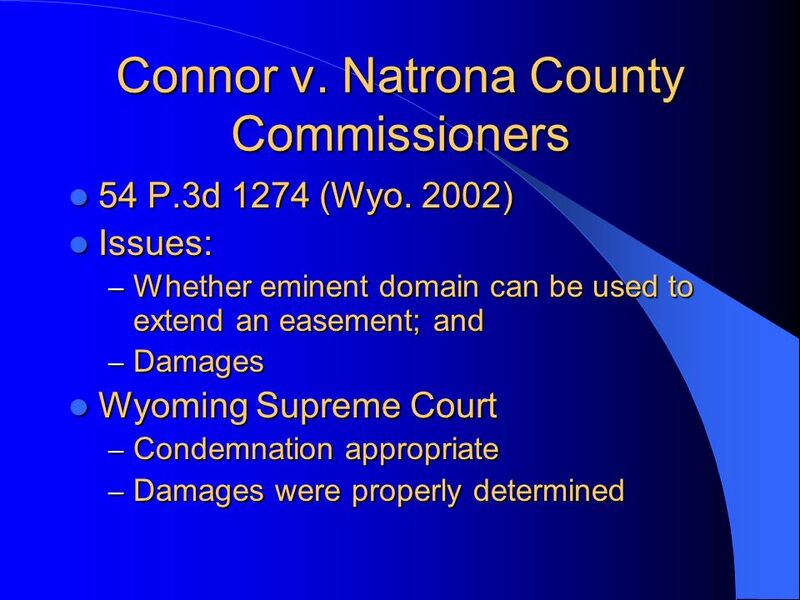 Farm and Forest Land Preservation with Conservation Easements. ©OnCourse Learning. All Rights Reserved.. Rights and Interests in Land ©OnCourse Learning. All Rights Reserved. Chapter 3. 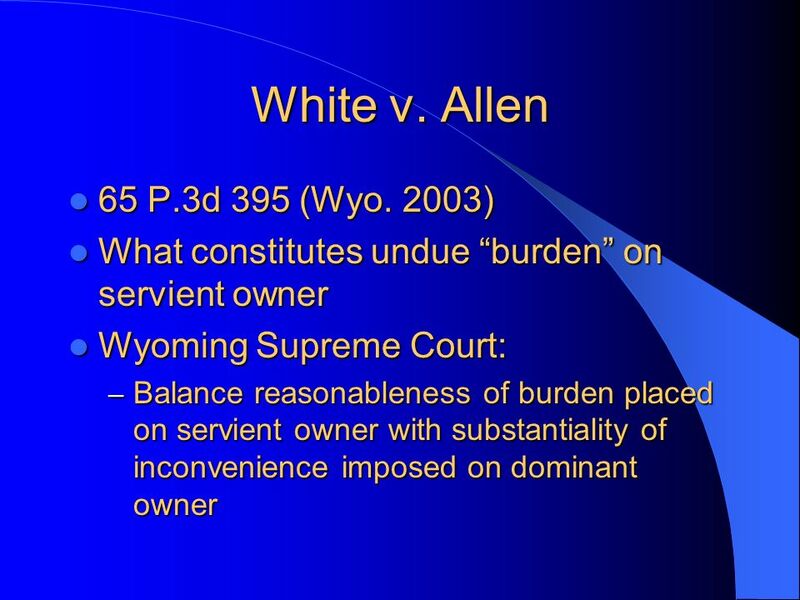 Property Rights Revisited Basic Legal Rights or Real Estate Ownership Right of Possession Right of Control Right of Quiet Enjoyment Right of Disposition. 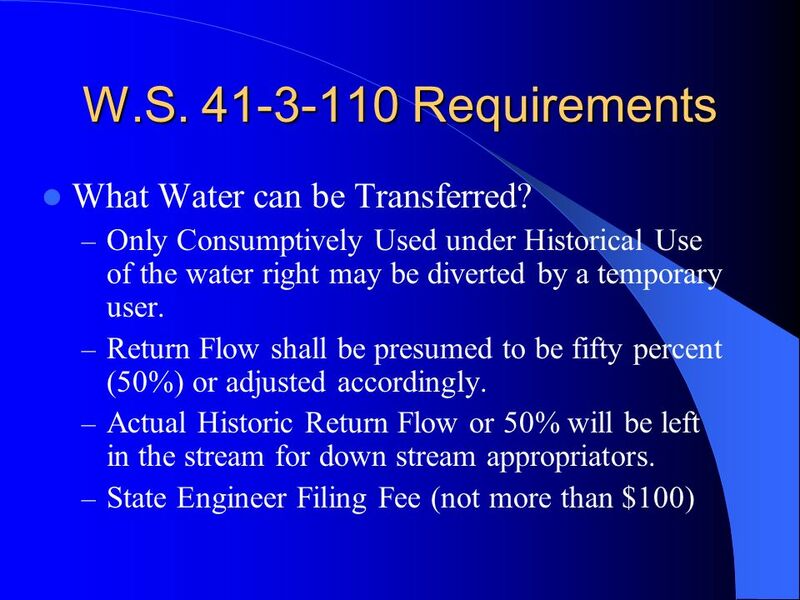 Water Rights 101 Jon Culp Washington State Conservation Commission. © 2012 Cengage Learning. Rights and Interests in Land Chapter 3. Real Estate Principles and Practices Chapter 5 Estates, Interests, Deeds, and Title © 2014 OnCourse Learning. Essentials Of Business Law Chapter 21 Real And Personal Property McGraw-Hill/Irwin Copyright © 2007 The McGraw-Hill Companies, Inc. All rights reserved. © OnCourse Learning Chapter 6 : Recordation, Abstracts, and Title Insurance.